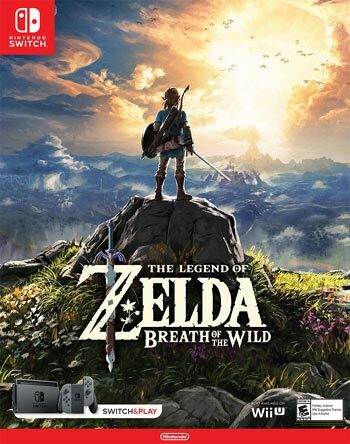 As a long-time fan of the Zelda franchise, and having given the most recent Breath of the Wild entry time to settle, I figured it would be the best time to publish the list. These are my personal preferences (opinions can respectably differ). Ive played all of them and beaten most of them at least once. I’m not partial to any sort of art style or era, so I try to be fair to different types of Zelda games. Unfortunately, with nearly 20 titles, it’s harder than ever to keep all of the good Zelda games in the top 10. 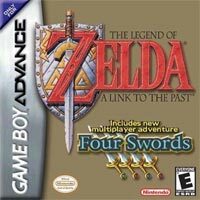 It was a short little co-op side-mode from the GBA version of A Link to the Past. The action and puzzles are very rudimentary. An hour of lukewarm fun. It technically counts as lore. I’m not against the idea of a side-scrolling RPG Zelda. However, no matter how much I try to the boring overworld and obnoxiously difficult combat However, I tried getting into this one many times but just couldn’t. The overworld and locales weren’t interesting. The difficulty was extremely high to the point where it became unpleasant. The first week this game came out, my friends and I played it obsessively, but after that, not so much. There wasn’t much content or depth and this felt more like a side-mode than a full game. This should not have been a full-price release. I like the idea of changing up the story and having Zelda play a larger role, but the train system fundamentally killed it for me. Between the slow pace, lack of a good warp mechanic, annoying death-train sections and bland vistas to view while train-riding, the train system is basically worse version of a mission select menu. 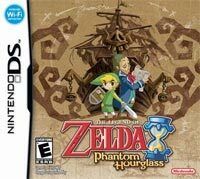 It does improve upon the dungeons and music of Phantom Hourglass but it also relies too much on its framework. 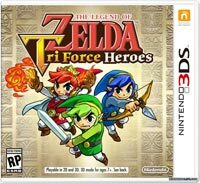 While it does lack the exploration of the other Zelda games, it’s a fun 2D action-adventure game with co-op support. The biggest downside is that it required 3 friends, 4 controllers and 4 GBA’s to get the most out of, which basically makes it not replayable in its intended form in 2017. I found the majority of this experience to be enjoyable. I like the overall calm atmosphere, touch controls, other DS functionalities and some of the mysterious village puzzles. 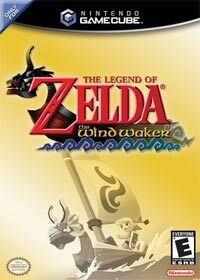 The soundtrack was dull and the sailing was a step backward from Wind Waker. It was a good game overall, but having to repeat the Temple of the Ocean King 5 times makes me less inclined to play it again. For a GBA game, I’m still amazed at how rich the sound and visuals are. The game is more focused on having levels which precede dungeons rather than exploration or having a large quantity of dungeons, but the NPC’s and collectibles still make exploring worthwhile. It’s a well-rounded Zelda game overall. The difficulty is easy, so it’s a good title for beginners to try out. Nothing about it is bad, but it doesn’t do anything innovative or exceptionally well either. While many other NES games aged poorly, this one remains a classic because it revolutionized gaming. After the first Zelda, games were no longer just about scoring high points in an arcade, but they actually had a narrative and sense of adventure too. With complete freedom, a fully open world, no tutorial or cutscenes, the player could just jump right in and beat it in a few hours. Its graphics and gameplay were very basic compared to later entries, and it’s not able to offer the same kinds of characters/story, but it has a replay value because it is easy to just pick up and play on a rainy night. 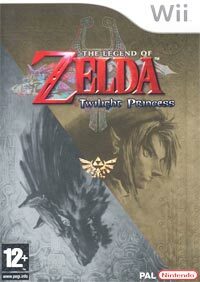 My first Zelda game, and one I’m still conflicted on. I really love the dark gothic twilight elements and the new unique locales which the game offered the series. However, it tried too hard to clone Ocarina of Time’s formula as well. The story had good elements, but felt scattered. It has great elements such as entertaining set-pieces, complicated dungeons, a wide array of items and lots of content. However, the incohesive overworld is not fun to explore and first several hours have a nauseating amount of tutorials rather than letting the player just find their own way. This game always remained in my top 10 because of its grandiosity and ambitiousness, but as more games came out, it had to get bumped off eventually. Changing the seasons was a great mechanic. Not only did the mechanic give color and variety to the game world, but it also made for a variety of puzzles (i.e. freezing water). The creepy underworld was interesting. I enjoyed the more difficult than average combat, but having to constantly respawn at the beginning of a dungeon after dying got very annoying. The dungeons themselves weren’t as good the ones in Ages but that 8th fiery-ice dungeon (Shield & Sword) is one of my favorites in the series. Of course, time-traveling has been done a lot in Zelda games, but it’s never been as spatially interwoven into the overworld as it was in Ages. The game is more focused on puzzles than most other entries, such as the time-traveling and the cerebral dungeons, although there is still some good combat too. Even the boss battles are puzzle-like. The dungeons are good, and the plot is good for a 2D Zelda game. Some of the game’s time-traveling backtracks can get really irritating, but this is definitely one of the series’ underrated gems overall. In following up Ocarina of Time, this side-quest focused game tried to something different rather than more of the same. While the same graphics, gameplay engine and items were recycled, the characters, story and mood became dark, surreal and solemn the player has to save the world from being destroyed in 3 days, while traveling back in time in a Groundhog Day manner. It was once underrated, but is now slightly overrated and subjected to many pretentious fan theories. It had only 4 dungeons, but all 4 were great (especially the Stone Tower Temple). It had a few fully developed locations instead of many empty areas. I found the original game’s side-quests to be too much of a hassle and I never beat the game, but the 3DS version’s well designed quest logue enticed me to complete almost all of them. I didn’t find the storywriting even close to sophisticated literary standards, as some have suggested to me, but the characters are emotionally relatable in some aspects and it was interesting to watch how they progressed over the course of 3 days. Overall, I applaud Nintendo for taking a lot of creative risks with this one. Yes, it’s controversial and bloated with mistakes (fetch quests, backtracking, empty sky overworld, repeated bosses, dowsing). But this game has an undeniable personality and charm that I love. 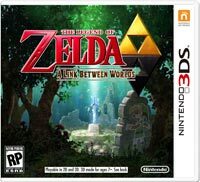 Compared to other Zelda entries, it has a singular art style and its own atmosphere entirely rather than being recycled. There is no other Zelda game that looks or feels like it. It had a sense of lightness and humor but also a sense of theater and drama. Motion controls felt very immersive and helped make this experience unique. I enjoyed how the levels seamlessly lead into mysterious areas and dungeons. The puzzles, especially the timeshift stones, have some of the most brilliant mechanics in the series. 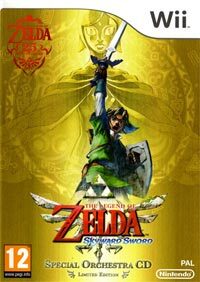 Overall, while I prefer the more open-ended direction the series has gone in since, I still find Skyward Sword to be rousing and highly entertaining in its best moment. Just the 4th game in the series and it throws the rulebook away. No more Hyrule and Ganon. Instead of it’s a metaphysical and surreal dream world which has a few farcical elements but still has believable world. It doesn’t rely on any one central mechanic; it just has all-around solid dungeons and some great items. Exploration in this game is excellent, and it truly feels like the player is unraveling some mysterious world and discovering the secrets of it. This game also introduces a few new little elements to the series such as warp points and finding keys to unlock dungeons. Side quests range from interesting to annoying. 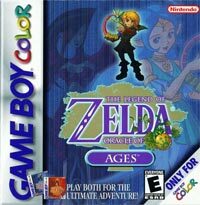 It’s amazing that this game was released on the original Gameboy and the DX version brings color to it. Contrary to the controversy, I never had a problem with the art style. I found the colors (and the moving eyes on the characters) to be very expressive and good for overall storytelling. I particularly enjoyed the Ganondorf in this game, which was actually not evil at all and actually had somewhat reasonable motives. The game was far ahead of its time and I could see this game even being released today as an indie game and be a hit. However, I also had 3 main issues with the gameplay: very slow sailing, the obnoxious tedious several hour long Triforce Quest and linear dungeons (apart from the Wind Temple). Thankfully, the HD version fixed the first two complaints, alongside cleaning up the visuals, and I was able to truly enjoy the game for all its merits. Other classic 3D Zelda games do certain things better, but overall, Ocarina of Time is among the most well-rounded Zelda games. It features a wide array of complex dungeons, the story has a gravitas to it and the atmosphere has a certain mood of magic to it which makes it a great adventure game to explore. In bringing Zelda to 3D, it had nearly flawless mechanics for movement, combat and dungeon level design for its time. 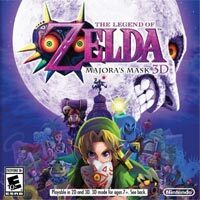 It does have certain fetch quests and restrictions on exploration, but to a lesser degree many of the later Zelda games. 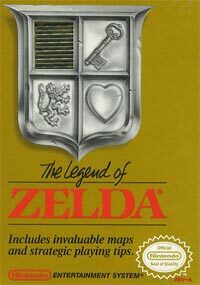 For better or for worse, it became the roadmap which later Zelda games have based themselves on since. This game injected the series with the kind of open-endedness and exploration it did not have in a very long time. Non-linear dungeon ordering and an item rental system finally made the franchise free of artificial roadblocks. The artstyle combined many of the aspects I enjoyed about both the 2D and 3D Zelda games, although I do think the soundtrack and a few other aspects borrowed too much from the original SNES game. What I enjoyed most was the 2D-3D wall-traveling puzzles made exploring the world itself feel like one big puzzle in itself. I was never quite sure if I missed a certain area. Discovering new areas was strategic and felt like an accomplishment in a way that’s completely unique to any other Zelda I’ve played. 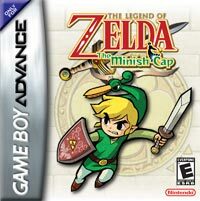 Of the 2D Zelda games, this game reigns supreme, in my opinion. 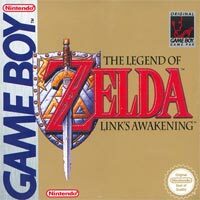 For its time, it was a very bold move to take the open-world concept of Zelda but to give it far more structure, narrative, story and character (while still giving the player plenty of room to explore). It has a little bit of everything and a wide variety of dungeons which are both original. Its array of useful items and engaging boss battles is mind-blowing. Despite having very minimalist in graphics and sound, it evoked a lot of personality, especially present in the frantic beginning which wastes no time conveying the urgency of the story within just a few minutes. I’m still amazed at how much content is packed into such a tiny file size. Gaming has been blessed with far better technology and far bigger budgets, yet this still remains one of the best games. Many have criticized the Zelda titles, in the 21st century, as being too linear and too adherent to Ocarina of Time’s formula. Just as Aunoma promised, Breath of the Wild completely breaks these conventions and hits the reset button for a quarter-century old franchise. The open-ended design is about the best I’ve seen in any game. There are almost no artificial barriers in the game. Any area in the game world can be reached if you can climb high enough and manage your resources effectively. The difficulty is relatively high at first, but the player has the freedom to avoid dangerous areas and grind as much they need to. Completing the game areas in any order felt liberating yet the narrative still felt complete as a whole. Giving the player the items at the start allows them to explore freely rather go through the motions in unlocking each item in each designated area. I actually favor the controversial durability system. I find it to encourage resourcefulness and finding new weapons rather than being confined to one. Finding and cooking food to regain health adds reasonable difficulty, inspires creativity, incentivizes collecting and feels more natural than picking up abstract hearts. It’s not perfect; the soundtrack, horseback riding, side-quest rewards inventory management and story all could have been a bit better. Half of the shrines were lazily designed but since it’s an exploration game – and not a dungeon game – I’m not overly upset. 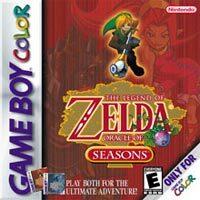 At the moment, I think this is the most complete Zelda title, although the other Zelda games in the top 10 are still valuable and essential gaming experiences.